Marin Alsop leads the Orchestra in the Prelude and Liebestod to Tristan und Isolde, Wagner’s path-breaking expression of love that can only be fulfilled in death. Paul Hindemith’s one-act operatic shocker, Sancta Susanna, depicts two nuns visited by alluring temptations to cast away their vows and live a life of the flesh. 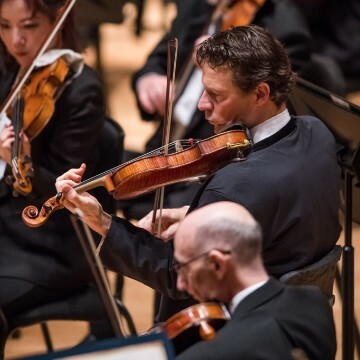 Considered the greatest of his symphonies, Brahms’ Fourth Symphony concludes this program revolving around the most intense and forbidden of human passions.